Tim Wood photographed in his Corktown condo on May 7, 2018. Mid-century-modern furnishings and architectural details abound in Tim Wood’s east-end Toronto living space. The lawyer, originally from Vancouver, has recently come off stints living and working abroad (he monitored elections in Africa for the European Union and practised in Paris for 2½ years). He’s called Toronto home since 2017 and purchased his condo nine months ago. “I’ve enjoyed setting myself up in my own place for the first time,” Wood says. Although settling down means “giving up that sense of adventure,” it also means digging out of storage those items he’s collected over his years of travel – reminders of places and people. Charles and Ray Eames are heroes of the mid-century-modern movement, which is characterized by clean lines, functionality and organic and geometric forms, and their iconic lounge chair and ottoman anchor Wood’s space. While he enjoys minimalism and simplicity, Wood tries for eclecticism, too, supplementing his collection with vintage and more contemporary pieces from different eras. Among Wood’s favourite pieces are a pair of vintage teak candlesticks (a gift from the condo’s previous owner) and Douglas Coupland’s “Hockey Night in Canada” side table, bought years ago at Design House in Vancouver. A vintage and remarkably stylish poster recruiting Italians to the navy was picked up at a sidewalk sale in Palermo, Sicily’s capital, while Wood was on an archeological dig there for school. A tin government-building sign embossed with the letters “R” and “F,” for “République Française,” was purchased from the Clignancourt flea market in the 18th arrondissement in Paris when Wood lived there. “It’s graphic and bold and, like the poster, it’s a piece that I associate with a time and place,” he says. Wood is also a fan of vintage architectural models, and counts the Eiffel Tower, the Space Needle in Seattle, the Empire State Building, the Colosseum in Rome, Sacré-Cœur Basilica in Paris and the Capitol Building in Washington among his collection. A metallic, molecular-looking thing is a reproduction of the Atomium, the main pavilion at the 1958 Brussels World Fair, bought at local Toronto shop Atomic. Copyright restrictions limit circulation of the building’s image for a period of 70 years after the death of its creator, engineer André Waterkeyn, set to expire in 2075. But, luckily for the lawyer, Wood’s model is an authorized original. 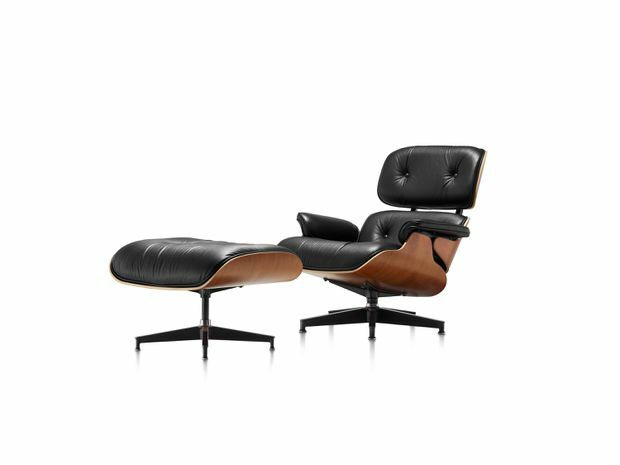 Eames lounge chair and ottoman by Charles and Ray Eames for Herman Miller, $7,745 at Design Within Reach (dwr.com). 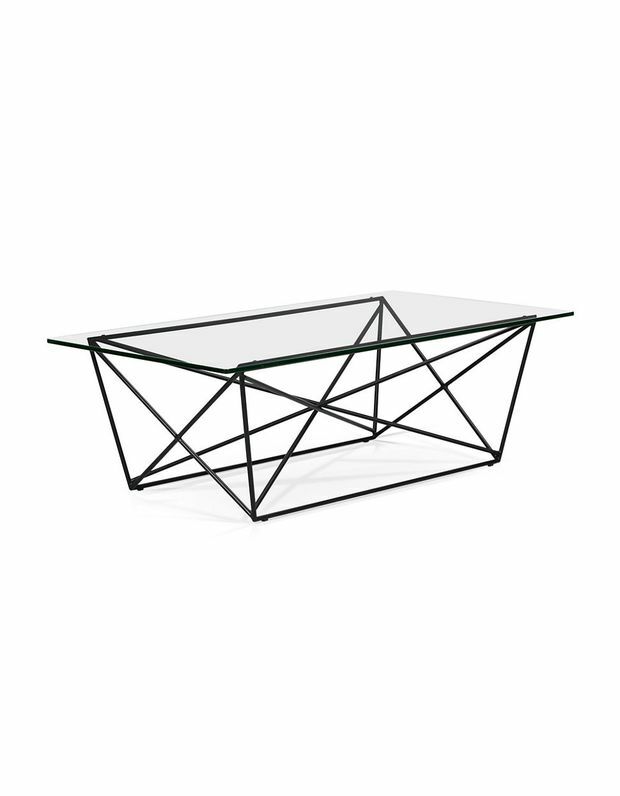 Gluckstein Home Axis coffee table, $1,099 at Hudson’s Bay (thebay.com). 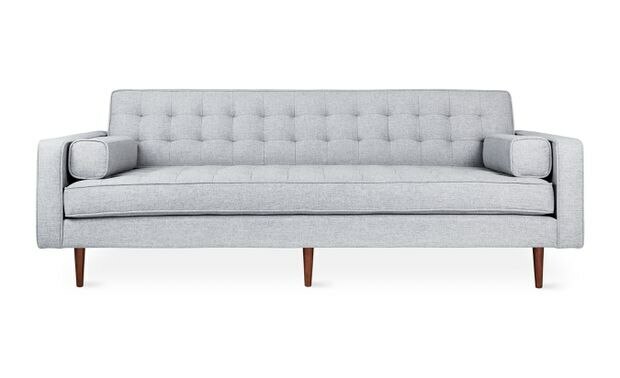 Gus* Modern Spencer sofa wood base, $2,250 at Modern Karibou (modernkaribou.ca). 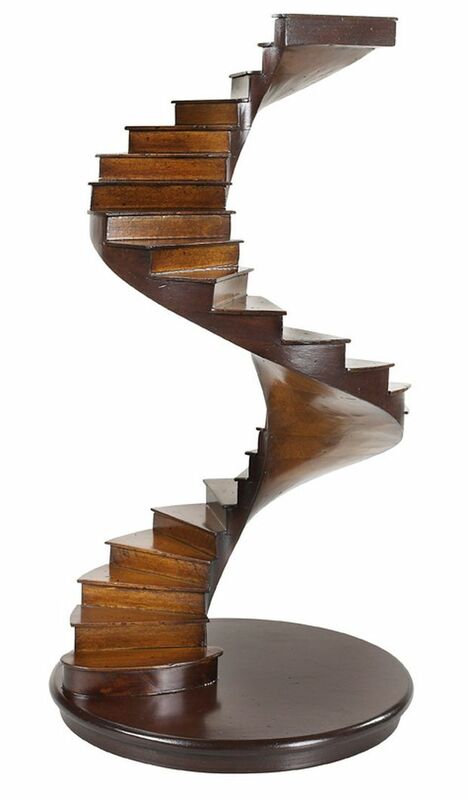 Spiral stairs sculpture, $229.99 at Wayfair (wayfair.ca). 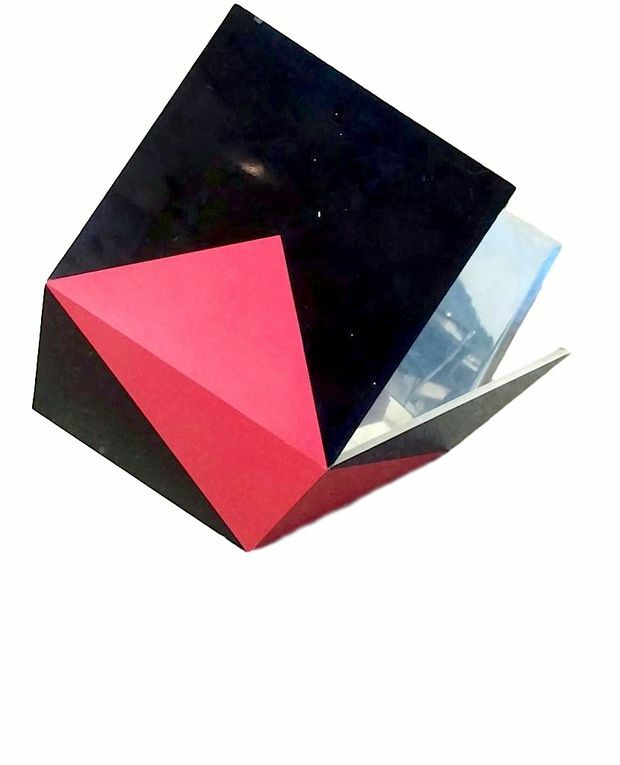 Robert Downing “Exploding Cube” sculpture, $15,000 at Atomic (atomicdesign.ca).